FTP backup is quite useful when we have to backup information on remote server in different geographical location. When usual media storage and removable storage cannot handle all the needs FTP backup software will be perfect. If you are looking for FTP backup solution which doesnТt takes much time to understand all the bells and whistles, here it is. Smart Backup is an affordable and fast FTP backup tool for Windows 2000/XP/Vista with network and local drive storage options. Files which have not changed and already present in backup volume will not be copied again. This feature greatly increases backup process speed especially if backups are done regularly. 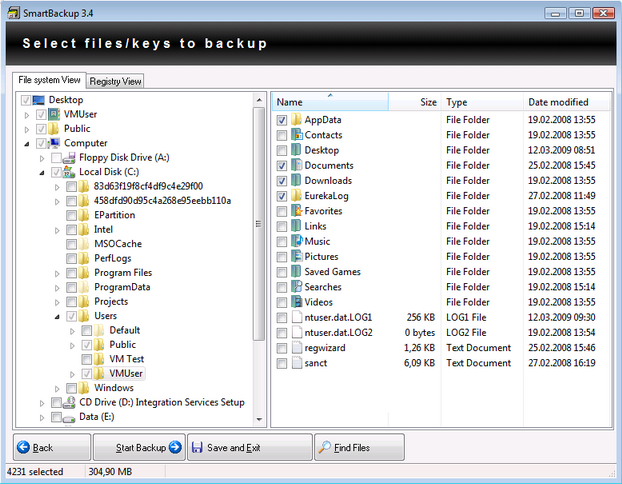 You can also select a file or directory to backup without opening Smart Backup. Just mark any file for backup in Explorer context menu. FTP backup function can be used to save backup directly to the FTP server, which is in any remote geographical location. Smart Backup has a flexible scheduler which allows you to create a backup job and schedule it to automatically refresh backup daily, weekly, in any selected time period or simply on Windows startup. Search function helps to find any file or directory on your local drives. Program offers detailed options to choose files to backup and you can select FTP as your backup destination. One of the most secure ways of storing data that was backed up for an emergency case is to store it in a remote location... Many people from around the Globe have secured their important information and files using backup to FTP (File Transfer Protocol) feature of their backup software.